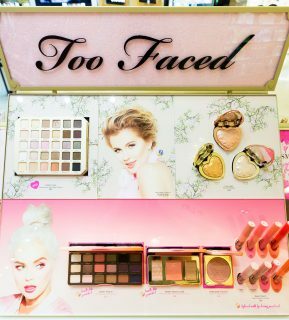 Our Too Faced concept has begun its roll-out phase and landed in Debenhams Dublin! The capital’s new shop-in-shop is one of the biggest and most eye-catching we have installed to date. The space includes two wall units, a make-up station, tester table, a column clad in Too Faced graphics and a pelmet adorned with pink glitter; a make-up playground for every beauty lover visiting this site. This latest shop-in-shop launch follows the D4R design concept for Too Faced, but with a bespoke twist. Due to the unusual shape of the space in-store, we adapted our concept to fit perfectly within the space and create a big impact for every customer passing by. It’s impossible to think of Too Faced without thinking of the pink and gold colour palette – usually involving a fair amount of glitter! 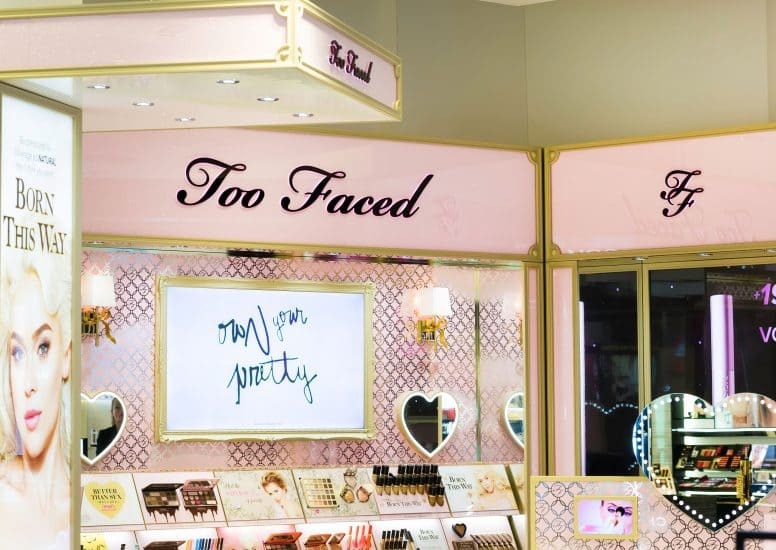 Within Debenhams Dublin, this certainly makes a statement amongst the muted, monochrome colours of the surrounding space – meaning that the Too Faced shop-in-shop is truly unmissable. Combining this colour palette with heart shapes and bespoke TF monograms, the space screams Too Faced glamour. The Too Faced shop-in-shop roll out continues and we are as excited as ever to see the next installation come to life!